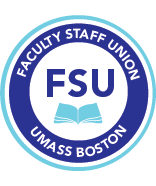 New benefited faculty members and librarians (any faculty members in the bargaining unit who are half-time or greater) have 180 days to make a choice between the Massachusetts State Employee Retirement System (MSERS) and the Optional Retirement Program (ORP). • MSERS is a defined benefit plan. This means that upon retirement you will receive a pension determined by a combination of age, years of creditable service, retirement group classification, and salary. The Department of Higher Education points out that in a defined benefit plan, the employer bears the investment risk. It requires 10 full-time equivalent years of creditable service to be vested. For more information and to see the list of benefits that are offered with this program go to the MA state Treasurer’s website (be sure to look for the Benefit Guide under Publications). • ORP (which offers you several vendors) is a defined contribution plan. This means that you invest your and your employer’s contributions into an annuity (your future payout may be retrieved in a lump sum or stretched out over time in consultation with your provider). For more info go to the Department of Higher Education’s ORP website. • The ORP is more portable than the SERS. ORP funds may be reinvested by you regardless of when you leave employment. SERS funds are portable should you leave before reaching 10 years of state service. However, should your employment end after 10 years of service, SERS funds and benefits will be frozen, but you can access them upon retirement. From time to time the Massachusetts Legislature has enacted early retirement legislation that awards state employees 5 additional years of age or creditable service in the event they retire by a certain date. These early retirement benefits only apply to members of the SERS. • By default, new faculty are automatically enrolled in MSERS. • New faculty have 180 days from the start of employment to decide to switch into ORP. • If you sign up for ORP, you can never switch to MSERS and vice versa. For more information, go to the HR website or contact Barbara Jean Conneely, Benefits Manager at Human Resources (617-287-5158) to arrange an individual retirement and benefits tutorial.